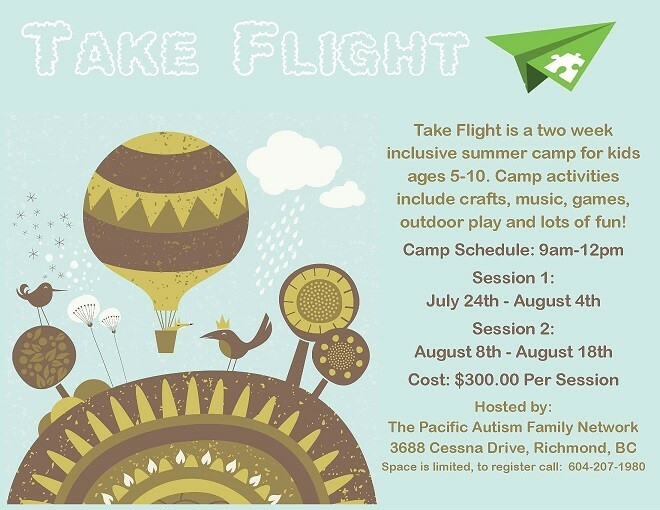 Take Flight is a two week inclusive summer camp for kids ages 5-10. Camp activities include crafts, music, games, outdoor play and lots of fun! This entry was posted on July 24, 2017 by Events Manager.